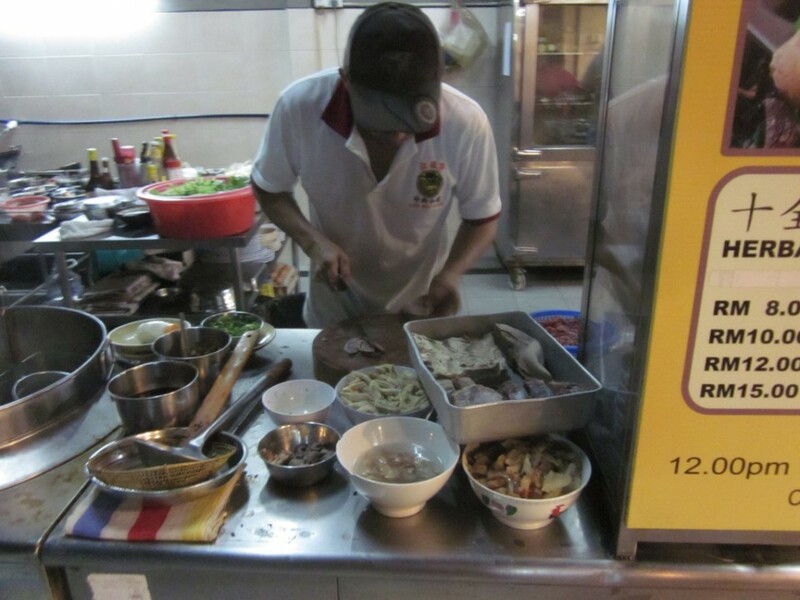 This restaurant is situated in between Jalan Jelutong and the start of Jalan Perak. Sound confusing? Just take the road beside the Balai Polis, just about 250 m you will see the Kang Beef House signboard. It is definately a beef lovers’ heaven. Beef dishes served in stir fried, steam boat, claypot or just a common hawker bowl of beef noodle. 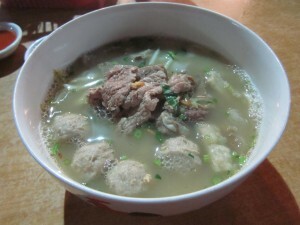 Beef Koay Teow (priced at Rm 6, RM8, RM10, RM 12 and RM 15) is serve in a clear broth with different beef parts, beef slices, beef brisket, beef stomach and also meat balls. 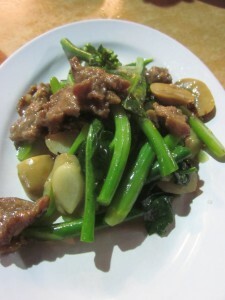 All the beef parts are very tender and the koay teow perfectly blanched. They also have a huge variety of stir fried dishes, Fried Hor Fun With Beef (RM9.80), Fired Rice With Beef, Claypot Beef Soup, Claypot Herbal Beef Soup and the Kang Beef Steamboat. The Kang Steamboat is priced at RM20 per head at a minimum order of two person.